The month of May was packed full of various busyness, and from start to finish all were great successes, linking people with people, accomplishing great things in our villages and moving forward in an effort to keep lifting up each other in the spirit of camaraderie and good will. Thank you all for that! Celeste, Martha, Nancy, and Vicki — Some of the “Wild Mountain Mamas” helping out on the Day of Service. Starting off with a major bang was the enormous success of the May 6th Lyme Day of Service. 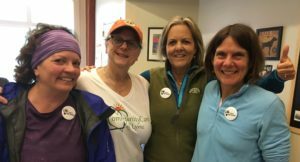 With much of the work spearheaded by a dynamic team – Sue Hanlon, Kathy McGowan, Erin Wetherell and Sarah Shipton – and held in conjunction with the Conservation Commission’s Green-up Day, many, many positive tasks were accomplished. But, not before a delicious, free community breakfast, where many of us connected and fueled ourselves for the day. Over 60 people enjoyed the meal, provided by Tami Dowd and Jeff Valence in the school cafeteria. All offerings for breakfast were made possible through generous benefactors. Over 170(!) people spread across town doing roadside clean up and projects for homeowners, town, church, and community spaces. The beach area courts and fields were spruced up. Loads of firewood were chopped and delivered in memory of Alan Hewitt. The Lyme Highway Dept. left one of the trucks at the school for people to place the road-side debris bags into. And the weather cooperated! A very heartfelt and loving thank you to everyone who offered their time, resources and talents in coming together for another great day of community service. The CCL Open House on May 17th was terrific! We heard lots of creative and interesting ideas from a variety of community perspectives, all aimed to help CCL provide thoughtful, confidential (if desired) and collaborative support of Lyme and Lyme Center individuals and families of all ages. Sincere thanks to all who attended and heartfelt appreciation to Katie Jenks and Pam Poire who supplemented the delicious treats provided by CCL board members. The CCL Office is shaping up, thanks to donations of furniture and decor. We are getting more and more visitors, and it is great fun! Sometimes bustling, sometimes warm conversation, always filled with the love of community. Please stop by. I’m usually there Tuesday mornings and Thursday afternoons. I’m happy to make an appointment, if that works best for you. As you know if you are reading this, our new website is live! Please click around the site. It will continue to evolve, and your input is important. We’re especially excited about the news and events section, where we share photos and stories of people, news, and events in Lyme. We welcome your contributions of all kinds. Please contact me, if you would like to write or take pictures — once or in an ongoing way. The 9-part education and discussion series “So You Want to Age in Place — Now What? !” concluded in May. 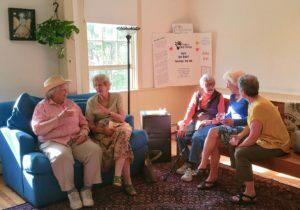 Each of the programs offered tremendous insight and ideas about how to plan for the challenges and joys of aging where and how we want. Feedback was positive, so programs may be offered again. We welcome your ideas for future topics and specific speakers. Major kudos and thanks to the organizing team: Lyme Library’s Judy Russell, Parish Nurses Ellen Thompson and Lynn Smith, and CCL team members Sarah Shipton and Bob Rufsvold. There are two fledgling programs in the works. Occasionally one needs to know they are thought of. 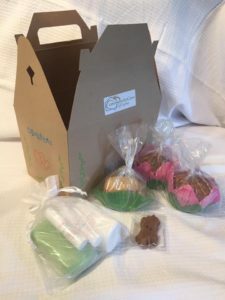 For May Day, Kingland Farms, to kick off Thinking of You, donated several lovely gift baskets which were distributed to an assortment of folks who had been on our minds. Surprises like this will continue throughout the year. Our Hour is a time of easy visiting, meeting new friends and spending a little time doing something different, somewhere different. Held once a month (the next will be July 18th from 10:30-11:30) in the Gathering Room, if you’re in the mood for some easy socializing, you are always welcome. Snacks & beverages are provided. 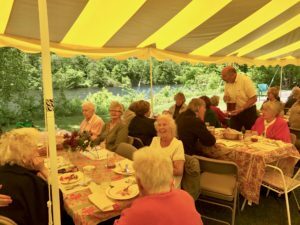 And finally, June 1st was the Senior Lunch, sponsored by Lyme Congregational Church, and including lots of organizers and helpers. It was hosted by Mark, Martha & Grace Tecca at THE most beautiful location on the River in Orford. The cooks provided a really interesting and delicious menu (many of us asked for recipes — which are available if you’re interested), served on beautifully decorated tables, under a tent provided by Those Guys. It was a beautiful team effort and a privilege to be a part of it. Thanks to so many … Martha, Mark, and Grace Tecca for hosting; the LCC Senior Lunch team (Parish Nurses Ellen Thompson and Lynn Smith, Lorry Kenton, and Priscilla LaMott), who ensured that guests had rides; the cooks, Martha Tecca, Tina Cullenberg, Cathy Johnson, and Chris Bunten; Margaret Caldwell, for the bright and lovely tablecloths; Cammie Wheeler for the beautifully-designed centerpieces of fresh flowers, and lots of Those Guys for moving tables, chairs, and tents to and from Orford. And many thanks to those who came to the luncheon and to the Good Lord who truly blessed us with a day with no rain! It was a lovely afternoon of food and conversation. CommunityCare has lots happening! First we are grateful to have the involvement of some terrific young people who may not live here full time but still call Lyme home. Savannah (Wallace) Osgood continues to help make the Lyme Events Calendar such a helpful resource. Grace Tecca, in her weeks back at home was a huge help, not only for the senior lunch but for many other CCL related projects she got roped into. Always smiling, her time and talents were greatly appreciated. She is working on the online directory, soon to be part of the CCL Website. We are pleased to announce that Mariah Lang is doing an internship with CCL this summer! Mariah’s projects include teaching me to be less grouchy with the computer and a much more interesting effort to gather stories from Lyme residents about what it’s like living in Lyme today. The goals are building some stronger relationships, while we learn what makes Lyme a good community to age and thrive in and what concerns and opportunities there are to address. 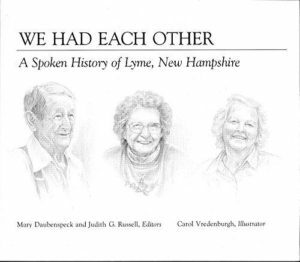 Inspired by the extraordinary and much loved stories of individual lives in Lyme compiled by the historians and Library, “We Had Each Other”, this new adventure will be called (with permission), “We Have Each Other”. The goal is that the experiences, hopes, and dreams shared by seniors and young families alike will provide a good basis for continuing education and resources to enrich life in Lyme. Mariah and others will visit with folks willing to share their stories through July. If this project interests you and you’d be willing to participate as a storyteller or listener, please let us know. We welcome your involvement. 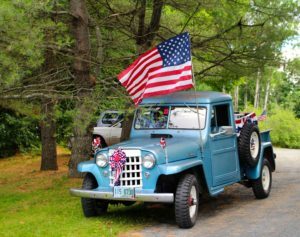 CommunityCare of Lyme will be participating in the July 1st Independence Day celebration. (Click here for some photos of last year’s event.) Sarah Shipton and Jim Nourse were spearheading the CCL force last year, and that’s a hard act to follow, but we’ll be trying hard. Watch for information on this coming from the Independence Day Committee and the Town Offices. This month’s Third Thursday Lunch is at noon on July 20th at the Latham Tavern at Dowds’ inn. Join us a lively conversation over lunch. Choose from the wide selection of foods for all tastes on the lunch menu. Bring a guest! All are invited. Are you new in Lyme? This is a great opportunity to ask questions about the town while getting to know one another. Stories, jokes, good books, local issues … who knows what we’ll talk about? Please let Kathy Larson know that you are coming by calling 795-2014 or emailing landk.larson@gmail.com before 10am on July 20th. If you decide at the last moment, come anyway – the more the merrier! I’ve almost finished reading Tom Turkington’s book, Before I Forget: A Boyhood of Little Drama. It’s not about murder and mayhem. Nothing too political and no X-rated nonsense. It’s a great book about growing up in changing times with neighborhood schools and people caring for people. Tom chronicles his life as he remembers it, from earliest memories capturing the charm, the angst and the challenges. It’s a fun book-not only to learn more about our friend Tom, but in reading it, memories of your own will make appearances and it won’t be hard to equate those patterns of life to what we have now. 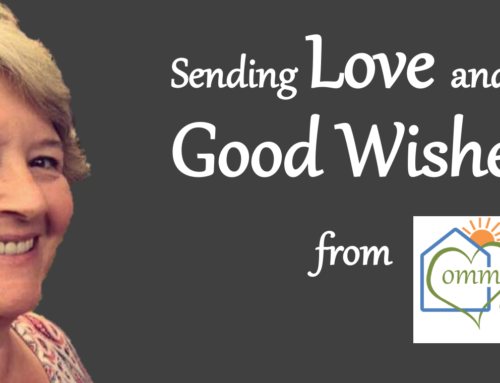 Like many of the stories Tom shares, CommunityCare of Lyme endeavors to be a good neighbor and strive to be aware of needs and lift up in spirit the Lyme community. Working in conjunction with the Parish Nurses, Those Guys & Gals, Lyme’s dedicated Emergency Response team, the Library, School, and more and more community members all the time, needs are identified and an effort is made to provide whatever support and/or services are needed. There is an ongoing effort to work toward safe and comfortable aging in place options for those who wish to live their full lives—as they choose—in this community. CCL will be participating in meetings held by the Planning Board as they analyze housing needs and opportunities over the coming months. We have committed to provide whatever assistance they might need and to support their efforts. If you are interested in learning more or if you have specific ideas about housing options in Lyme, please attend Planning Board meetings, held the second and fourth Thursday of each month, 7pm at the Town Offices. 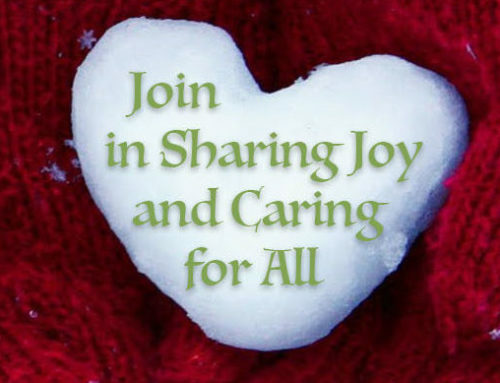 Finally, please consider joining in the warmth, fun, and work of CommunityCare of Lyme. As we engage in all of the various ways to provide support and assistance, we are growing our business. With that positive growth, comes the need for sustenance. CCL’s growth depends upon the trust of community members and willingness to ask for help; friends and volunteers helping one another; board members, program and project leaders; and financial support for coordination, systems, and communications that make it all possible. As we end our fiscal year on June 30th, your support at this time will help us start the “new year” strong. Send a check to CommunityCare of Lyme, PO Box 127, Lyme, NH 03768, or click here to donate online using a credit card or PayPal funds. There are many other ways to give, please contact me with your ideas. Call 603-795-0603 at the office, or email patty@cclyme.org. Thank You for your consideration…..Whatever contribution you’re able to make will be deeply appreciated and used very carefully. CCL is pleased to share stories and photos about life in Lyme. If you have photos or something you would like to see on this site, please click Contact Us above. If you would like to be a regular contributor, we would welcome adding you as an author! Listener Training 101: July 21st – CommunityCare of Lyme on Tell Your Story!